This page is not about the great big expensive guitars, but rather the great little workhorses that can be bought for a song. The Ibanez Concord came out in the 1970’s and was a hit everywhere. It is of course a knock-off of the Gibson J-200. The Concord series came out in Dreadnought and Jumbo styles. 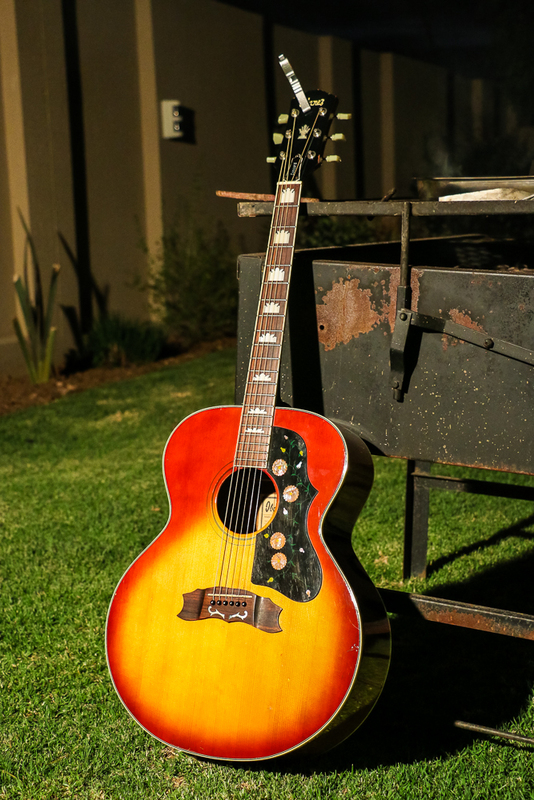 The Jumbo style is pictured here and it is truly a great fireside strummer. 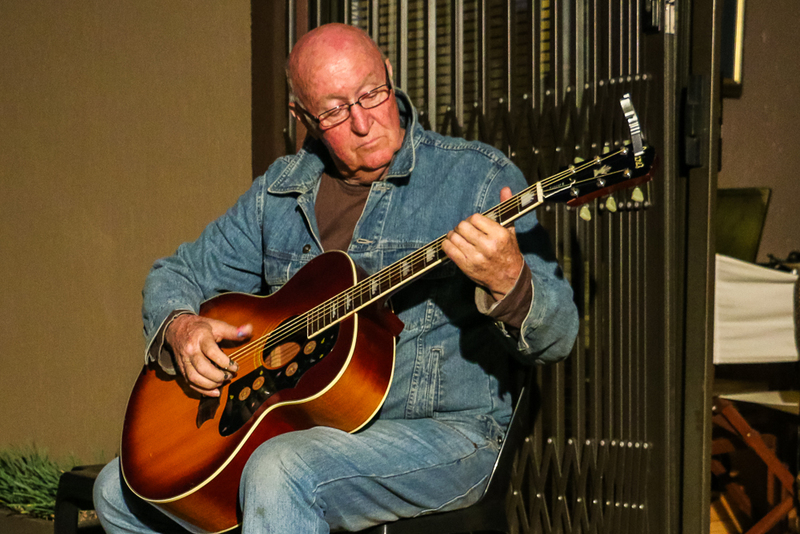 These fine old guitars can be bought relatively cheaply and sound and play a lot better than some new guitars at triple the price. If you find one, hang on to it!! Next up is the Squier Vintage Modified Stratocaster. 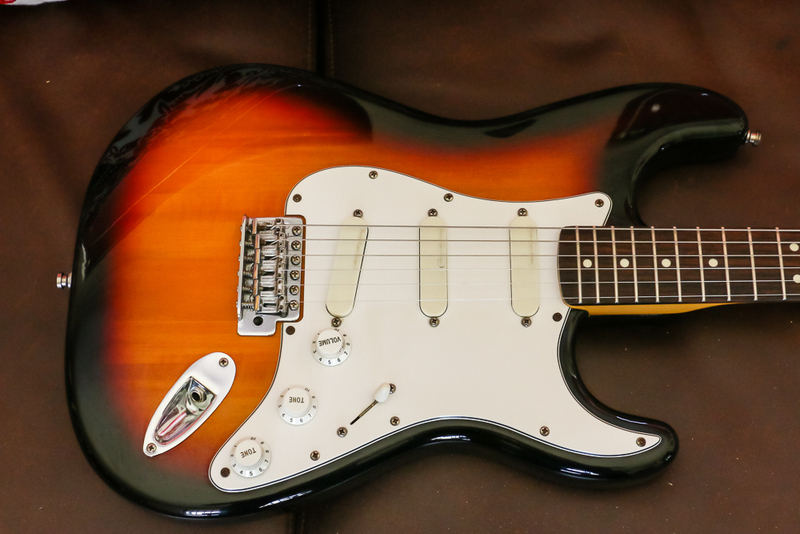 I got this for a decent price and I love its flawless sunburst finish and big 70’s headstock a la Jimi Hendrix!! It came with the stock setup of Duncan designed pickups which were pretty cool, but I had a full set of Fender Gold Lace Sensors in their original pickguard which were just begging for a donor body, so, here it is!! 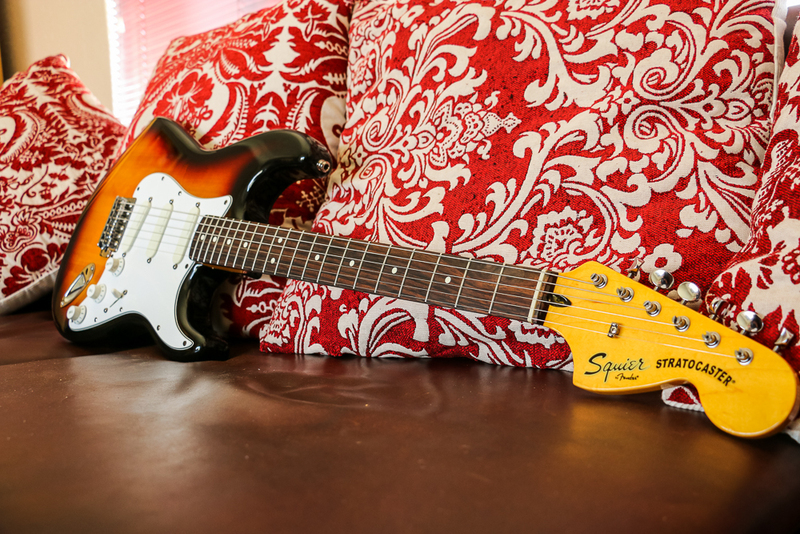 The Squier series always represented bang for your buck, and they can be upgraded and hacked without fear of devaluation of the original product. This baby sounds just great and will be gigged shamelessly! The Lace sensors are super quiet and have that vintage tone nailed!